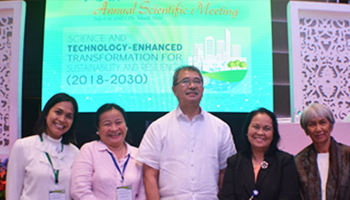 Misamis University and Bangko Sentral ng Pilipinas have recently inked a Memorandum of Understanding (MOU) to strengthen the initiatives on knowledge and information resource sharing. As part of the institution’s advocacies in enhancing the public’s understanding on financial and economic issues affecting the country’s development, Bangko Sentral ng Pilipinas establishes the BSP Knowledge Resource Collection which houses the institution’s books, printed materials, reports, brochures, information materials and publications. As a partner, the Misamis University Library is made as the designated center of the BSP Knowledge Resource Collection which aims to support the research needs of the students, researchers and library users especially in the areas of economics, banking, finance and investments. Like all other library materials available to the students, the BSP Knowledge Resource Collection can be accessed using the existing MU library systems and policies. Misamis University, educating for the future.